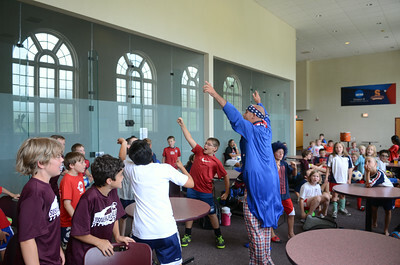 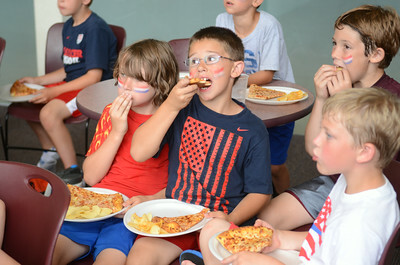 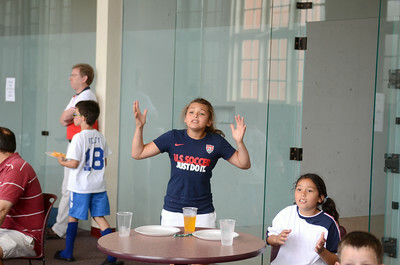 Kids at the Susquehanna University Soccer Camp took a couple hours off to watch the US match against Germany. 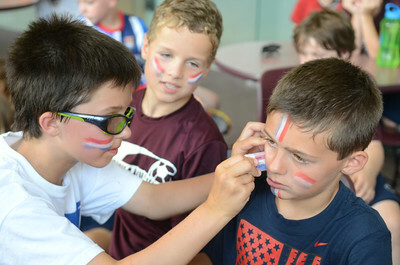 Cierra Adams, 10, left, Hummels Wharf, and Haylee Nava, 9, Selinsgrove, react while watching the World Cup match between the USA and Germany on Thursday at the Susquehanna University soccer camp. 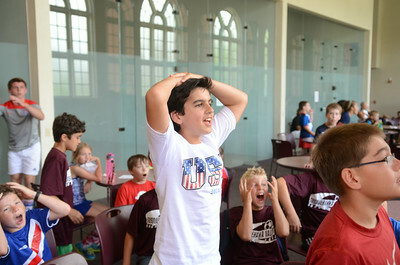 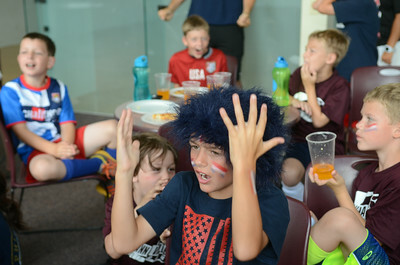 Josh Horst, 11, Mount Pleasant Mills, hops out of his seat as he cheers on the USA men's soccer team with his fellow campers at Susquehanna University, during the match against Germany on Thursday. 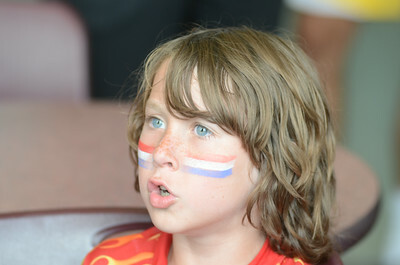 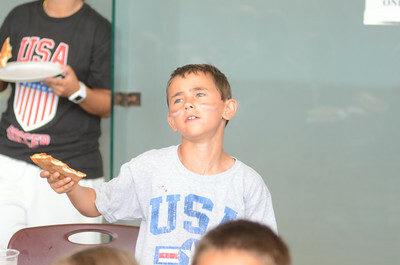 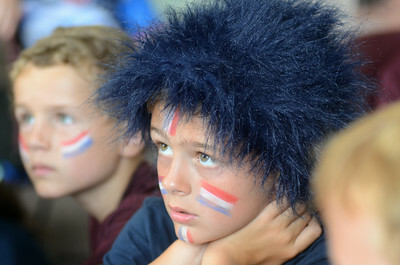 Colin Findlay, 8, Selinsgrove, intently watches the USA men's soccer match against Germany on Thursday while attending a soccer camp at Susquehanna University.